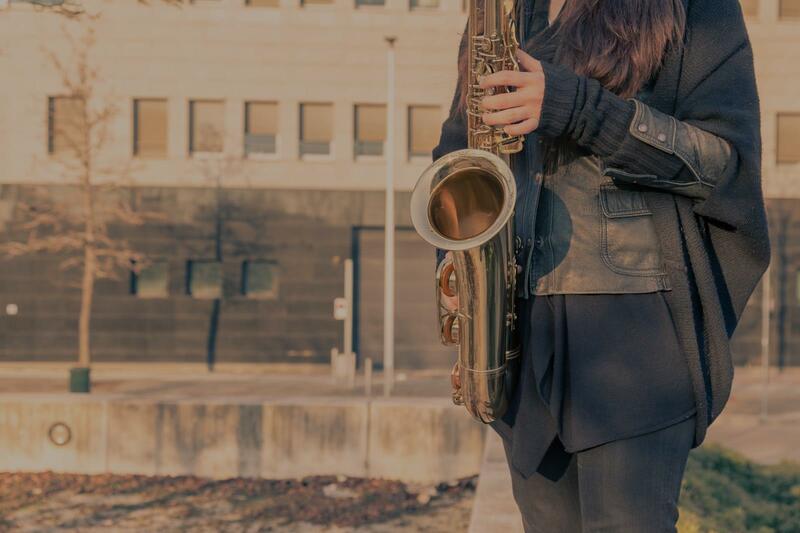 Bedford, TX Saxophone Lessons Near Me | Fun Classes. Top Teachers. Check out some of our most popular teachers near Bedford, TX including Dallas, Fort Worth, Plano, Frisco and Irving. I've been playing saxophone for over 15 years and i like to teach beginners or intermidiate level students. I graduated with a Bachelor's of Arts in Music Business. I believe in getting students playing music they love as soon as possible. I have 9 years of teaching experience, as well as a masters degree in music education from Northwestern University. In that time I have learned how to teach important technique and ear training through playing fun and engaging pieces of music in a variety of styles, from classical to jazz, funk, RnB, ska, and more. Music is a fun, practical subject, and it should be taught that way. Interested in Saxophone Lessons, Music Theory & Composition (learning to read, write, and understand Music), Music Technology, Beginner Percussion/Drum Lessons, or personalized Drum Major/Marching Band Leadership Training? You've come to the right place! Receive unique and fun Music lessons from a former HBCU Drum Major, Collegiate-trained Saxophonist, NAMM contest winning Music Educator & Music Ensemble Director, and former Interim Artistic Administrator of The Chicago Jazz Ensemble! Students of all ages welcome! I look forward to hearing from you and finding out how I can best help you meet your goals! I am a professional Music Educator, Music Director, and Arts Administrator with over 25 yrs experience as a Saxophonist. I have a very long, successful, and diverse music background with many areas of expertise and training. Some of these areas include: Saxophone Performance and Instruction, Drumline Directing, Choral Directing, Arts Management/Administration, Music Technology & Sound Recording, Drum Major/Band Leadership & Training, Choreography, and much more. If it's Music or Education related - I can probably help you! e and Chorus. My music students have excelled and grown each year tremendously and I am very proud of all of their hard work, our performances, and achievements. Most recently, a group of my middle school students and I were flown out to Anaheim, California by The NAMM Foundation to perform at The NAMM Show 2018! My students had the experience of a lifetime performing before large audiences, sharing the stage with professional recording artists, meeting various celebrities, and experiencing the full "red carpet" treatment complete with free Disneyland Tickets! Not only that, thanks to The NAMM Foundation, my youth Drumline received an extremely generous financial donation and support to build the program to even greater levels! Now taking my Music instruction to greater levels, I am expanding music lessons to all ages via TakeLessons and can help you towards achieving your musical goals. Whether it's Saxophone Instruction, Beginner Percussion Instruction, training for Drum Major auditions, or simply learning to read music - contact me and let's see how I can help! ears, and regularly perform in both classical and contemporary styles. I can teach students to read music and pursue classical excellence, to learn how to play contemporary music using chord sheets, or both depending on the goals and preference of the student. Can't find a teacher in Bedford, TX?